Most of this report was researched, written, and edited by Lisa Ferguson, Weiping Li, Alex Laverty, Renata Avila, Chan Myae Khine, Ellery Roberts Biddle, and Sarah Myers. Global Voices Advocacy's Netizen Report offers an international snapshot of challenges, victories, and emerging trends in Internet rights around the world. 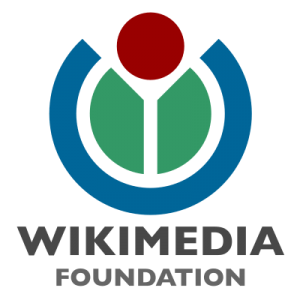 This week we focus on the Wikimedia Foundation, which is challenging take down orders in both Russia and France, and chart a wave of threats against netizens in Chad, Mexico, and various countries in the MENA region. The Wikimedia Foundation reported that the French Central Directorate of Interior Intelligence (DCRI) asked that the organization remove a French-language Wikipedia entry about a French military compound, claiming it contained classified information. After Wikimedia refused to grant the request, DCRI forced a Wikipedia volunteer (who had not contributed to the article) to delete the entry, threatening that he would be prosecuted if he refused to do so. Athens Indymedia, a popular independent news website in Greece, has been shut down by Greek judicial authorities, according to tweets from a Greek Member of Parliament. The website announced [el] it was being suppressed by the government, along with 98FM radio, and provided a Tor link [el] offering users an alternate method for accessing the site. In the past, right-wing politicians have campaigned to block the site based on accusations of anti-state incitement. Athens Indymedia was also blocked last September [el] and had several administrators arrested. Chadian blogger Jean Laokolé was arrested on March 22 and is currently being held in an undisclosed location, according to Internet Without Borders. Known for his coverage of corruption and poor governance, Laokolé was arrested for making allegedly “false accusations” against a group of people who may have filed a complaint against him. Internet Without Borders issued a petition this week calling for his release. Amnesty International is soliciting letters of appeal for submission to the Chadian government. Two Tunisians were arrested and sentenced to seven years in prison for “violation of morality and disturbing public order” after posting cartoons of the Prophet Mohammed on Facebook. In Egypt, video blogger Ahmed Anwar is being tried for “insulting the Minister of the Interior” and “deliberate harassment of others using communication techniques.” The Association for Freedom of Thought and Expression and the Arabic Network for Human Rights Information have both condemned the charges and have called on the Egyptian government to end its persecution of Internet activists. An Iranian store owner was arrested for selling illegal software that enabled Internet users to access blocked websites. Iran outlawed most VPN connections last month to prevent users from circumventing online censorship in the country. The administrator of the Facebook and Twitter pages “Valor por Tamaulipas” announced the impending closure of both accounts after being threatened for reporting on drug-related violence in northern Mexico. This comes after flyers were circulated in the state of Tamaulipas (presumably by a drug cartel) offering a reward of nearly US$50,000 for any information that would help identify the administrator. The Internet Corporation for Assigned Names and Numbers (ICANN) held its 46th meeting in Beijing last week. ICANN is the entity responsible for allocating and setting standards for the Internet's domain name system and what are known as “top-level” domain names (.com, .net, etc.) for websites. ICANN's president announced that it will introduce Chinese character options for top-level domains later this year. Mali announced plans to give national domain (.ml) to users for free starting in July. Despite low Internet penetration in the country, the policy aims to bring in outside investment and support for Malian businesses. A representative from Mali's Information and Communication Technology Agency explained that the plan was based on the .tk domain model of Tokelau, which has become one of the most popular in the world. Officials hope that the domain will be particularly attractive to businesses in Malaysia and Manila (Philippines), given the shared letters in their names. Peruvian lawmakers announced the resuscitation of an IT crimes bill introduced in 2012. Known among netizens as #LeyBeingolea (named for its author, Congressman Alberto Beingolea) the bill raised concern among civil liberties advocates who fear the law would infringe on users’ rights to privacy and free expression online. Congressional web services indicate that the bill will be discussed in Congress in the near future. The Intelligence Committee of the US House of Representatives approved language for the Cyber Intelligence Sharing and Protection Act (CISPA), a controversial data-sharing bill aimed at protecting the US from cyber threats, without including any amendments to limit intelligence agencies’ capacity to collect sensitive user data. The House of Representatives will vote on the bill as soon as next week. Last year, members approved the legislation but a veto threat by President Obama prevented it from advancing to the Senate. According to researchers at the Hack in the Box security conference, Wireless IP cameras from Foscam and other vendors have security weaknesses that could allow hackers to attack and access them remotely. Pakistani digital rights NGO Bytes for All (B4A) has begun legal proceedings against the Federation of Pakistan seeking to challenge “rampant censorship, surveillance and Internet filtering in the country.” B4A is working in collaboration with the international media law advocacy network, Media Legal Defence Initiative. Canada’s SecDev Foundation has launched the Syria Digital Security Monitor to visualize “reports of disruption to critical infrastructure in Syria including Internet, telecommunication, electricity and water.” The project relies on crowdsourced data derived from reports by Syrians as well as monitoring through Syrian social media. Afrinnovator discusses the ramifications that pan-African trade and business could face if Bitcoin were to be adopted as a continentally-accepted currency.